For many patients, there is a high risk of injury resulting from limbs becoming caught in the side rails of their bed, and conventional bumpers lack the adequate height needed for proper protection. The Harvest Height Extension Bumpers are designed to prevent this, protecting a patient's limbs from getting caught within the bed rails and softening any impact between body and rail. Made to be used with the Harvest Height Extension Side Rail, these bumpers snugly fit over the extension piece with net inserts. A vapour-permeable fabric is used, ensuring a cool and comfortable sleeping experience for the patient, as well as protection from any spillages or urine. This product is especially effective for those at high risk of entrapment, in particular patients with senility or Alzheimer's disease. 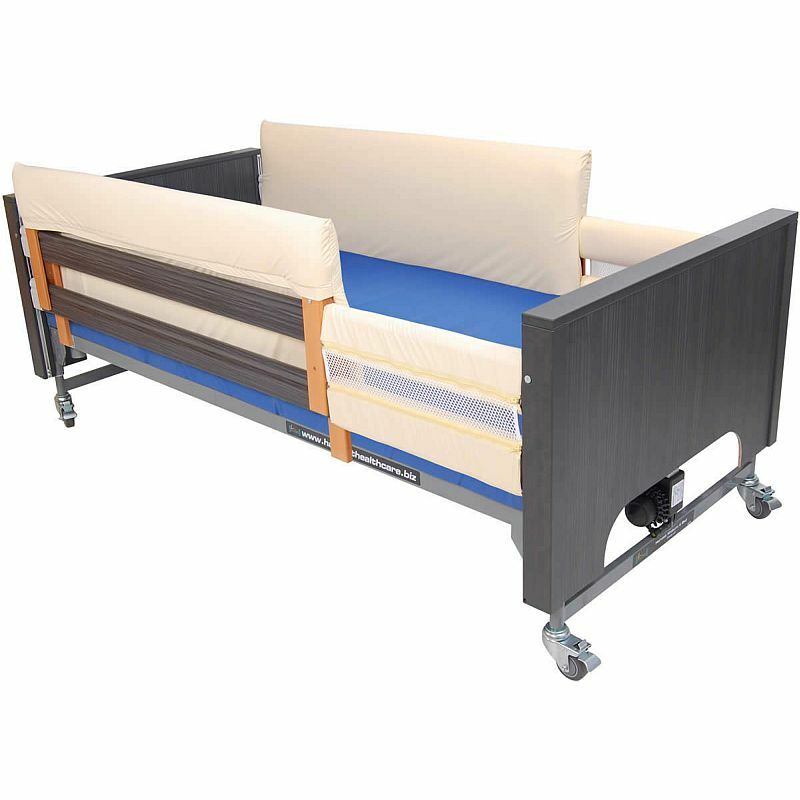 These bumpers are made to fit adjustable telescopic bed rails, providing a soft and safe sleeping area for the patient. Equipped with foam filled inners, these folding bumpers offer great patient protection at a very reasonable price.